In 2016 Girard-Perregaux re-launched the Laureato as celebration of their 225 Year Anniversary. 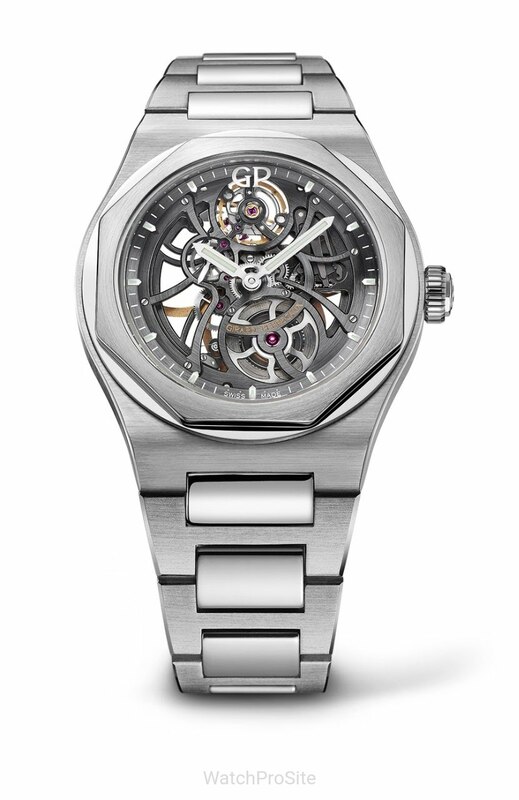 In 2017 a new creation within the Laureato line, the Laureato Skeleton in Steel. 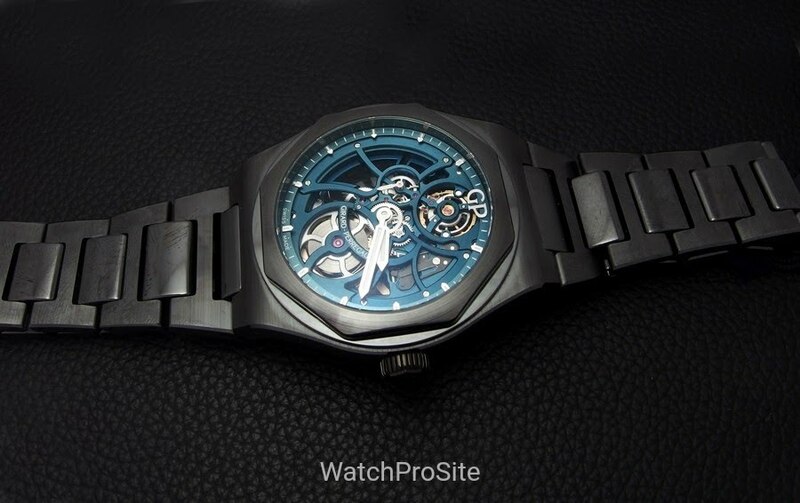 In 2018 the Laureato Skeleton Black Ceramic. 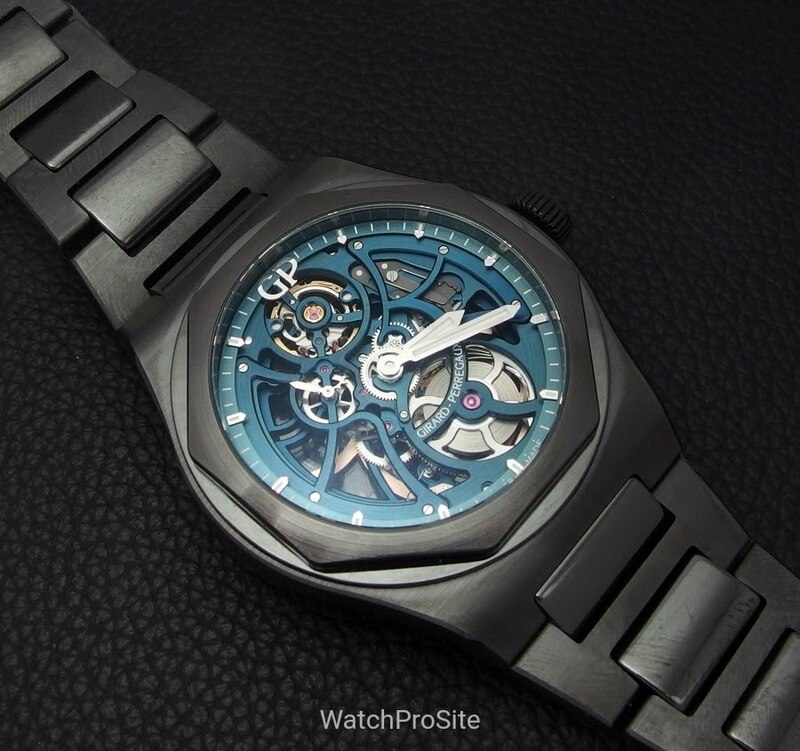 And now, 2019 the Laureato Skeleton Earth to Sky Edition! The 2017 version in Steel is no stranger in this forum, we have one lucky owner among us! The evolution brought us the Black Ceramic last year. And yes, if I recall correctly, we have a lucky owner of that version also here in the forum! 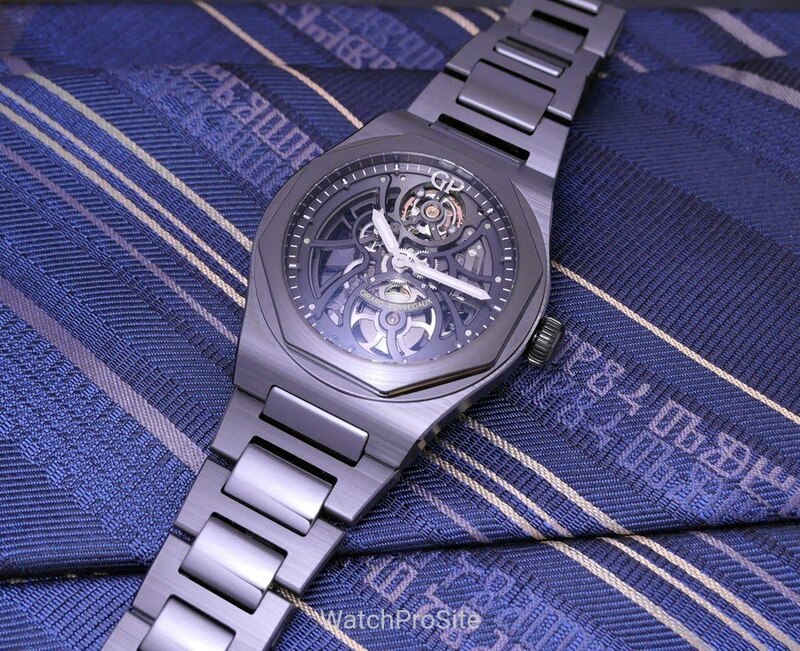 Now this year we see the Laureato Skeleton Earth to Sky Edition! The case is the dimensions as for the Black Ceramic, 42.00 mm in diameter and 10.93 mm thick. The obvious difference being the dial colour. 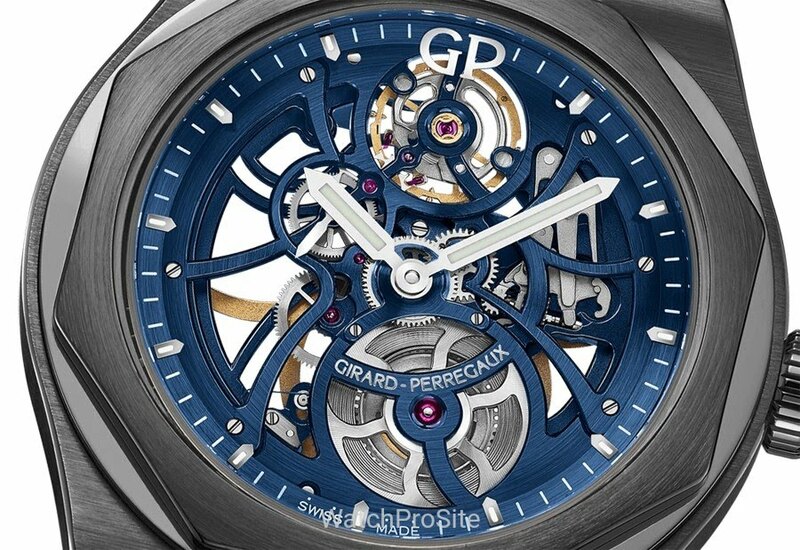 The blue dial is following the Earth to Sky theme Girard-Perregaux choose as a theme for 2019. A bit different blue compared with the other Laureato Absolute. The Steel hands and indexes give great visibility on this piece. And the depth of the “dial” is enhanced by the suspended minute track. The blue finish of the bridges works very well against the Steel gear train. 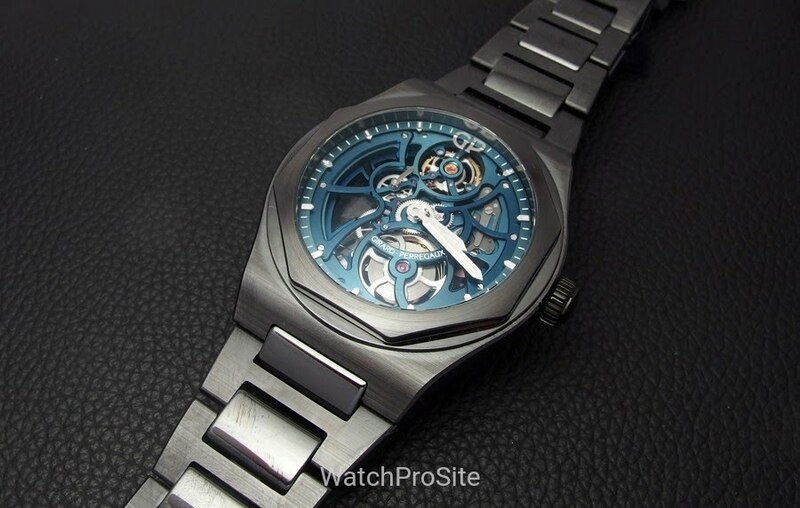 Inside is the automatic movement Calibre GP GP01800-1041. Same as on the other versions. 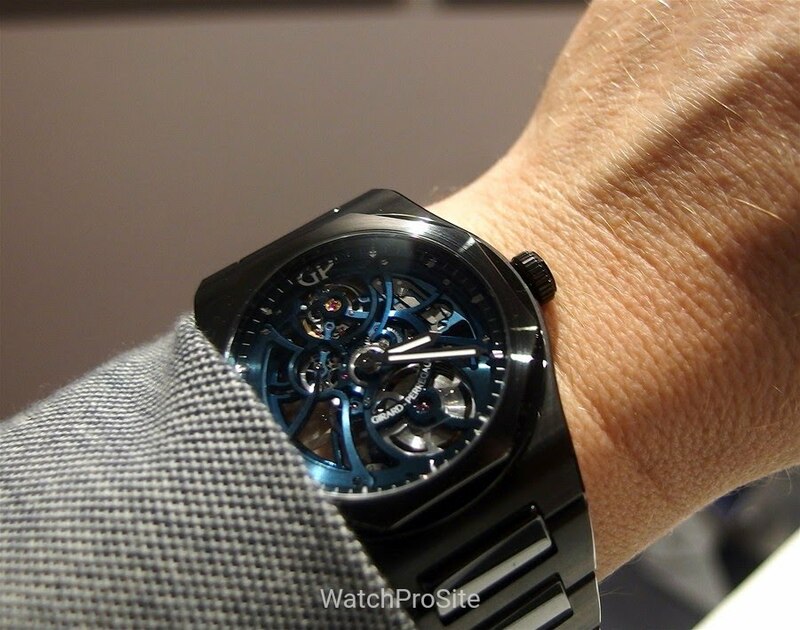 On the wrist, this watch is very light! Even on the larger side with it’s 42 mm and full bracelet, the weight is kept down by the ceramic. And as all the Laureato’s, very comfortable on the wrist! Now, which version would I prefer? And not even an ocean blue dial can change my mind. Agreed. Nice, but I prefer the steel. Both are stunning... Thanks Blomman! Interesting and pretty cool for sure, but the steel remains the grail for me. Thanks for the report!